With the civil marriage celebrant services I offer, be assured that your wedding ceremony will be a memorable and stress free occasion. As your Sydney marriage celebrant, I can make your wedding ceremony a lovely experience, and ensure a dignified and warm marriage ceremony that will delight you and your guests. You will be able to relax and enjoy your day with confidence knowing that through professional wedding celebrant services, it will be exactly as you wish. It has given me pride and satisfaction over the years to have pleased all my clients with a high quality and personalised service as a marriage officiant. 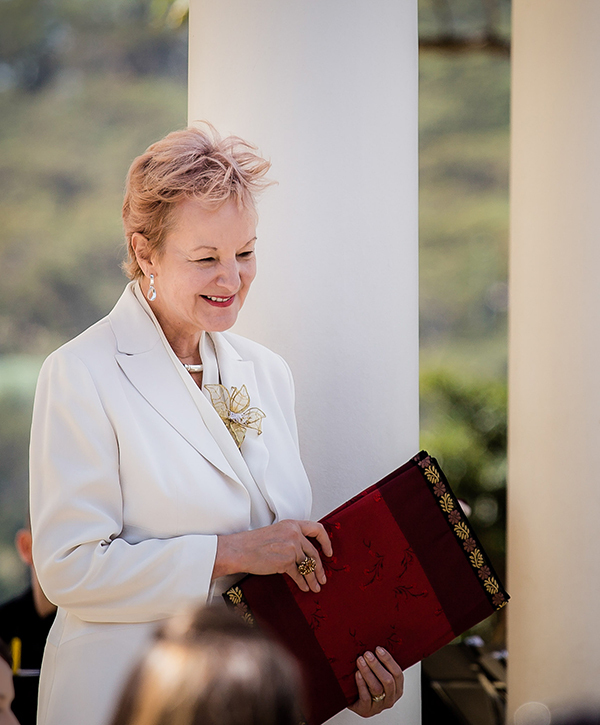 I have thoroughly enjoyed the wedding ceremonies that I have taken part in, and enjoy my role as a marriage celebrant. Heather Martin is one of the most sought after marriage celebrants in Sydney. She can extend her services as a marriage officiant before, during and even after the wedding is done. Usually two meetings are necessary to negotiate, plan and prepare the following services. As a civil marriage officiant, I have a dedicated private office for the use of clients to ensure privacy and comfort. After consultation with the couple, I will plan and deliver a warm and personalized ceremony. This process involves discussion of a range of symbolic traditions that may be included and also a range of vows that may be modified to meet the specific needs of the couple. My years of experience as a marriage celebrant can help provide essential information regarding possible locations for your ceremony around Sydney. I prepare and attend to all the necessary documentation including the Notice of Intended Marriage, the Declaration, the Marriage Certificates and the application for the Registry Marriage Certificate. I prepare the ceremony and email it to the couple for their further consideration. Suggested changes are most welcome up to a week prior to the ceremony.. I can suggest options for a formal entrance, should this be your choice, so that all members of the party know exactly where to go and what to do. There is a range of options from which to choose in relation to the entry of the couple and their attendants. I maintain contact as necessary via email and phone or meetings as required. If one member of the couple is overseas, I prepare the letter for the consulate to facilitate the visa application, to make sure that I can perform effectively in eliminating unnecessary inconveniences as a marriage celebrant in Sydney. An appropriate and beautiful selection of classical music is available for use if required. A PA facility for this is available together with a microphone facility. As a wedding celebrant, I include all instructions for the musicians so that they know exactly when to play and when to cease. I provide music if the couple wish it. There are options from which to choose. A public address system is available. A silk brocade covered lectern is available for signing and is included as part of the civil wedding celebrant service. To provide better service as a wedding officiant, I can assist with changing your name after the marriage ceremony if you so wish. This thorough planning with the couple ensures total confidence that the day will go exactly as planned. 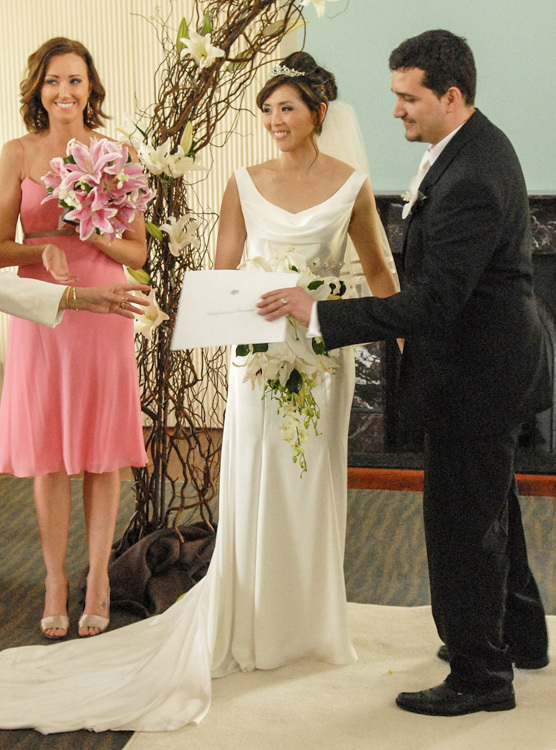 As your marriage celebrant in Sydney, you will have nothing to worry about and will be able to relax and enjoy the day. Feel free to give me a call on 0401 217 396 or 02 9557 0521 to discuss your wedding and know more about my civil celebrant services, or fill in the form above to email your marriage celebrant in Sydney.